A man who really needs no introduction, Kamil Foltan has been a stalwart of the bartending scene across the globe for many years. He’s been behind the bar of establishments such as the famous Tippling Club and the renowned venues of the Potato Head family. Nowadays, he runs his own F&B creative consultancy, Sunday Fun Day, while simultaneously being the driving force behind The Indigenous Bartender, an online platform for bartenders interested in experimenting with locally sourced ingredients. 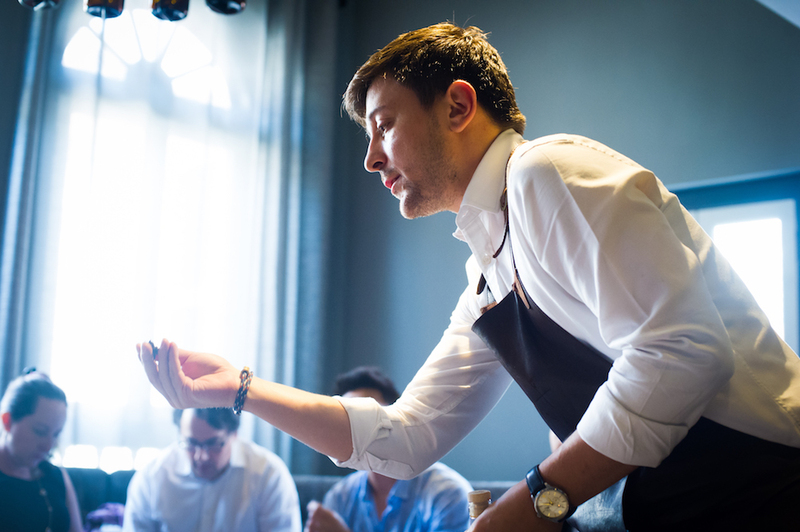 A wealth of knowledge and experience, we asked Kamil for his advice on the aspects that need to be considered before opening a bar. Here he talks about the importance of creating a clear concept for your bar and how you can instil that concept into every facet of running a successful venue. Throughout my career, I have been fortunate enough to be an opening team member of several bars, restaurants, hotels and cafes in different positions, from running staff to working on the management team. Although most prospective bar owners will go through the motions of deciding a location, working out who their target audience is and getting their market research done, it is easy to overlook creating a clear concept statement based on this work to pinpoint exactly what you’re offering. Concept development takes a lot of time. It’s not only about the food and drinks that you serve in your establishment, it’s also the look and feel – or design if you like – of the outlet, menu, cutlery and table seating. This is the phase that decides what your branding will be, which will differentiate your outlet from many others with a similar direction. A great example of this is Atlas bar in Singapore. They have spent around two years consolidating all their gins so that they fit in the category they want to present. Of course, it goes without saying that they also have to support this direction by making sure they and their staff learn about each of the gins, the history of the category and the era of the design. Importantly, they’ve also carefully considered what glassware, cutlery, plates, napkins and other items will complement their concept. I suggest reading a lot of books, doing research online and talking to historians and other specialists in their fields that can support your chosen concept. When you hire people for specific concepts and roles in F&B, you need to look out for personalities that will fit the concept. Once you hire the right people who have a similar vision and passion for the industry to you, you have half of the battle won. All personalities in the team need to understand their roles and what is expected from them. They need to be given full on, on-board training that provides them with all the tools to be able to deliver. You have to develop a training program based on your concept and make sure that you cover all the basics as well as any venue specifics to ensure that your team is ready. This will obviously take time and the right skills to reconcile any negative outcome that could happen. Once you are open, you need to stay true to the concept that you worked on and develop it with every activation that you organise. It is not easy to keep consistency of products and, of course, service in your outlet, thus there has to be ongoing training and the right structures in place to allow everyone to exceed. Of course, there are always changes that will need to be made along the way, but when they come, make sure you settle them within the boundaries of your concept so as not to detract from it. Make sure that your HR team supports your visions and goals and provide them with basic F&B training as well, so they understand what is needed and expected from any candidates that they are looking to hire. At the end of the day, F&B businesses are not only creative and deliverable businesses, they require intimate knowledge of how to motivate and lead your team as well as on how to read your guests and meet their expectations. This is, of course, a simplified overview of what needs to be done. If you’re looking to open up a bar or updating an existing premise, do let us know if we can be of any help! Previous articleThe Perfect Blend NSW State Winners Announced!